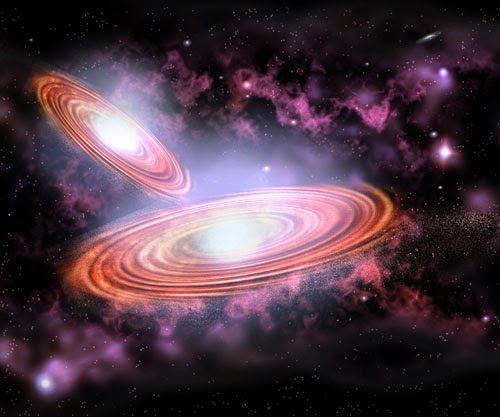 Artist's conception of two supermassive black holes orbiting each other and expected to merge one day. Researchers have now visualized the warping of space-time during such a merger. In other words, researchers had a good handle on the forces created by a quietly spinning black hole. 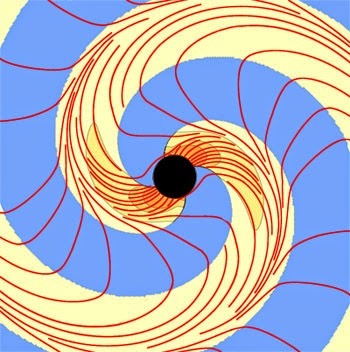 They were also able to simulate the results of black hole collisions to see what type of gravitational waves the collisions create. "What we were not able to do is go down and look at the merger itself," Thorne said.